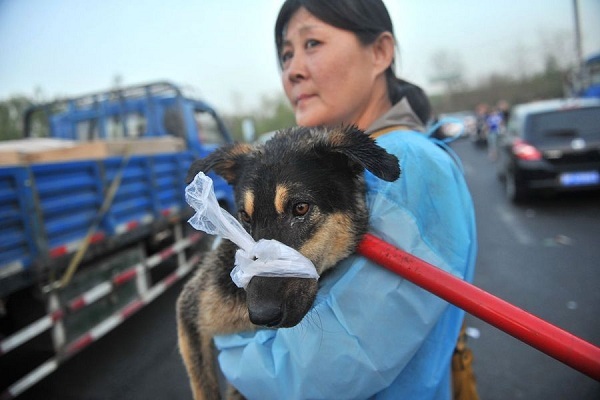 Thirteen Beijing residents have died of rabies this year, more than double the number of deaths in 2011. Experts have attributed the increase in deaths to a lack of an effective vaccination program in the capital. Of the 13 victims, most were bitten by pet dogs rather than strays, the Legal Mirror learnt from the Beijing Centers for Diseases Control and Prevention (CDC) Monday. Only five people died of rabies in 2011, the CDC said. In 12 of the 13 cases, the victims did not seek vaccination after they were bitten, and the 13th victim died before he finished the entire course of vaccinations. A CDC official said rabies often occurs within three months after being bitten, and no one can survive the disease, the report said. A consultant from Beijing Kennel Club, surnamed Xu, said that if dog owners are bitten, even by a vaccinated pet, residents should still seek medical attention for further vaccination. "Dogs will be vaccinated for free if they are registered at the police station, but some owners evade this as it costs 1,000 yuan ($160)," said Xu. "We've appealed for residents to get their dogs registered for years, but achieved little," he noted. Mary Peng, director of the Beijing-based International Center for Veterinary Services, said dog vaccine coverage in the US is around 80 percent, but in China take-up is only 20 percent. "The Chinese government only permits licensed hospitals to import vaccine, which has proven effective in protecting dogs from rabies," Peng saidBeijing is considering a free compulsory vaccine program for pet dogs in the future, and also a system penalizing residents who fail to vaccinate their pets.